Caring Neonatal Nurse well-trained in care of full-term and premature newborn infants. Fully certified and state registered. Adept at working well with staff, physicians, and parents to ensure each child receives top-quality, compassionate, and culturally sensitive care. Will acquire a NP graduate degree in neonatal nursing this August. 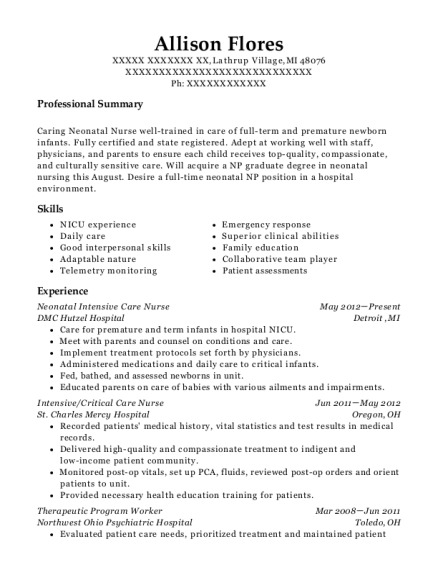 Desire a full-time neonatal NP position in a hospital environment. Care for premature and term infants in hospital NICU. Developed and conducted life groups such as coping skills, recovery, and relaxation. 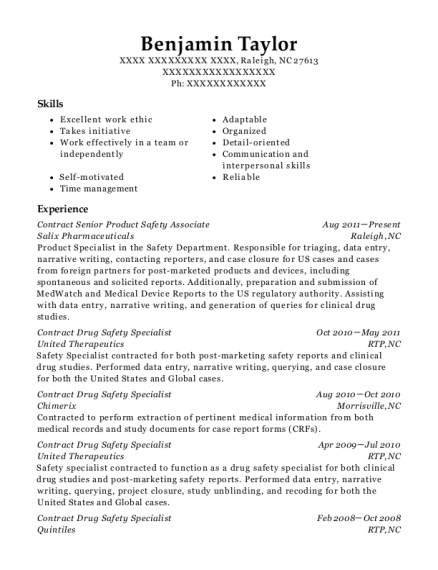 This is a resume for a Neonatal Intensive Care Nurse in Lathrup Village, Michigan with experience working for such companies as DMC Hutzel Hospital and St Charles Mercy Hospital. 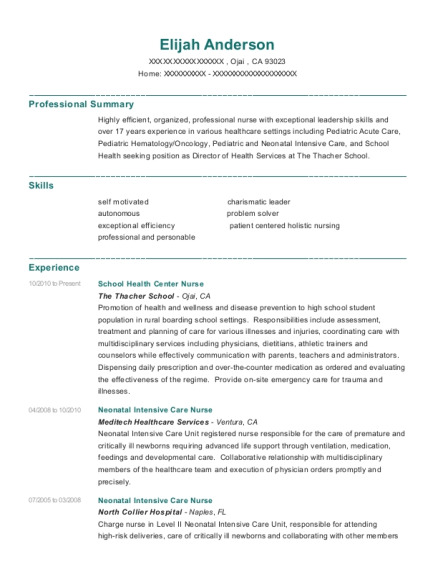 The grade for this resume is 0 and is one of hundreds of Neonatal Intensive Care Nurse resumes available on our site for free. 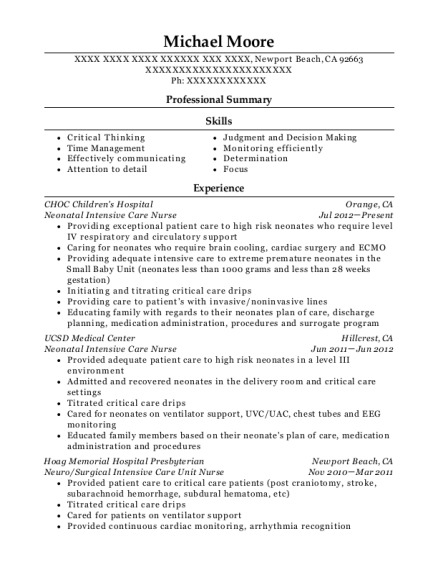 Use these resumes as templates to get help creating the best Neonatal Intensive Care Nurse resume.